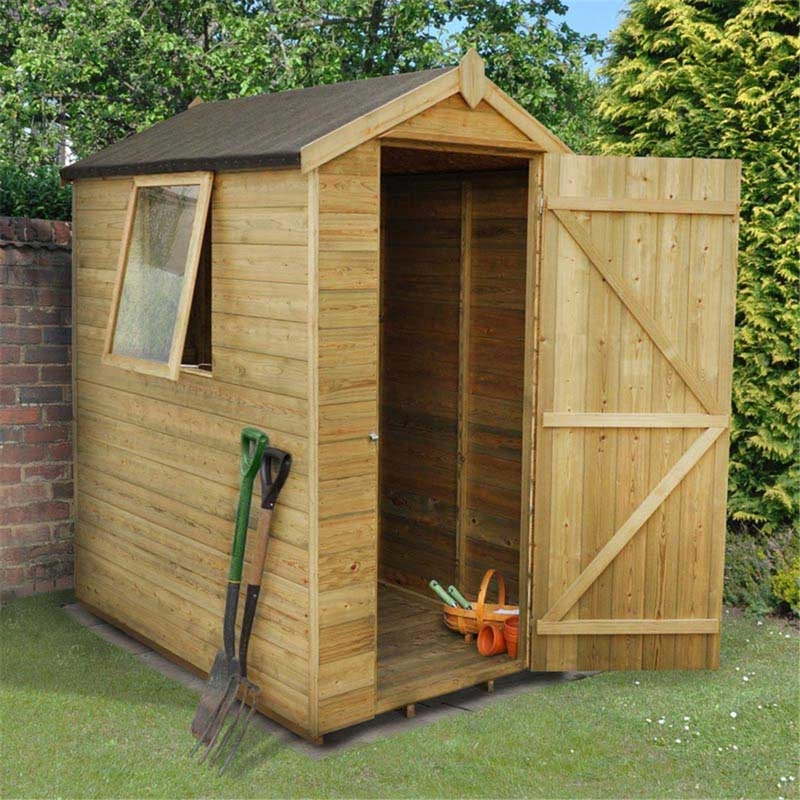 This beautiful Pressure Treated Tongue & Groove 6x4 Apex Shed is a premium quality building which is ideal for storing away tools and gardening equipment and is packed with high quality features and specification. 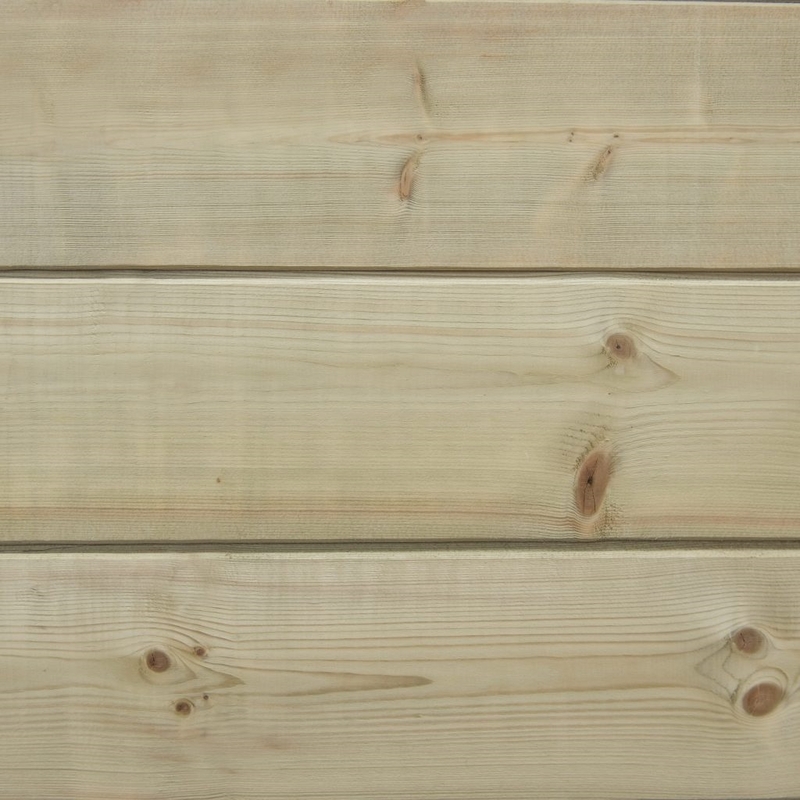 The shed walls are manufactured from high quality, smooth-planed interlocking Tongue & Groove boards that are supported by strong 45 x 28mm thick-section timber framing. All of the timber used in the shed has been Pressure Treated, giving it a 15 year guarantee against rot and fungal decay. 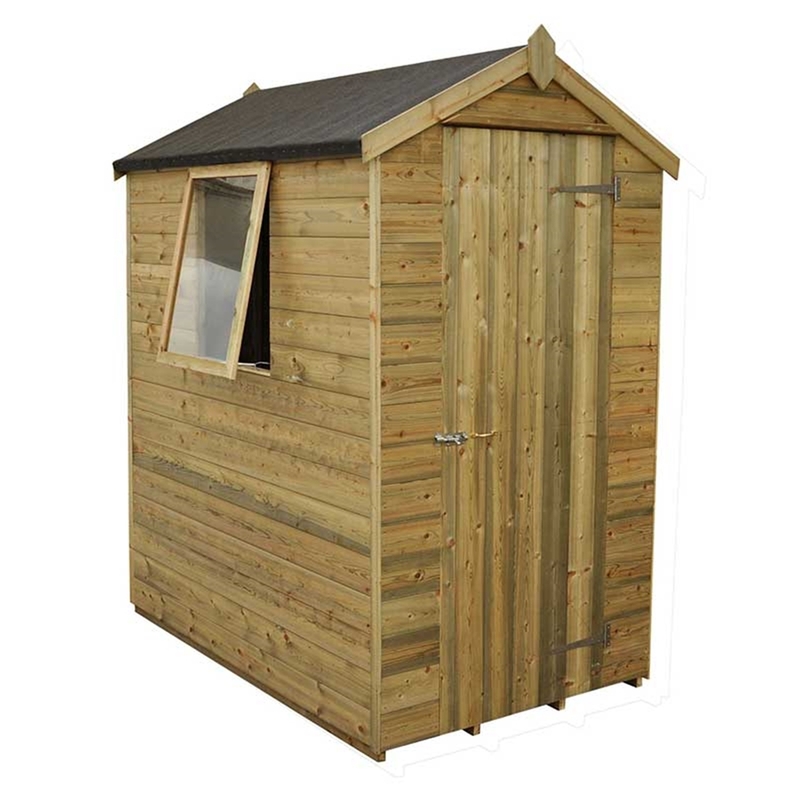 The quality of the shed continues through to the roof which is also made using interlocking Tongue & Groove boards, in place of the more common OSB sheet, and it is topped with high quality black mineral felt. 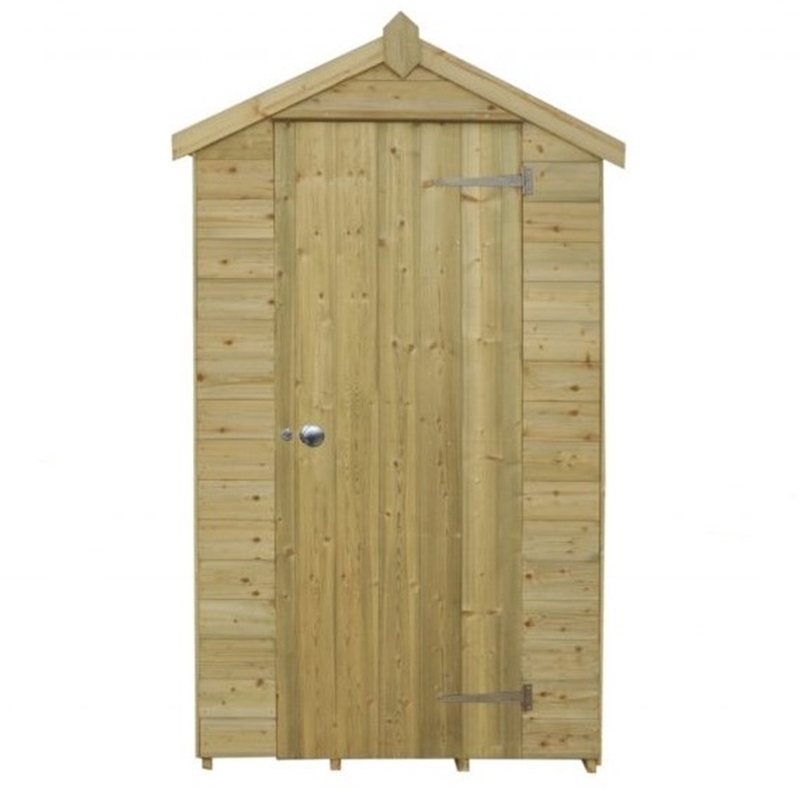 This premium shed features a strong double "Z" framed door with pad bolt that can be assembled on either end of the shed relative to the window to suit the positioning of the shed. The opening window has a multi-position latch and is glazed with tough 3mm acrylic, which is a safer alternative to glass. The floor is also made from interlocking Tongue & Groove wooden boards that are Pressure Treated for longevity and supported with Pressure Treated floor bearers. Smooth-planed barge boards and a diamond finial add the finishing touch to this superb quality shed. These premium sheds are manufactured in the UK using FSC certified timber from sustainable sources. 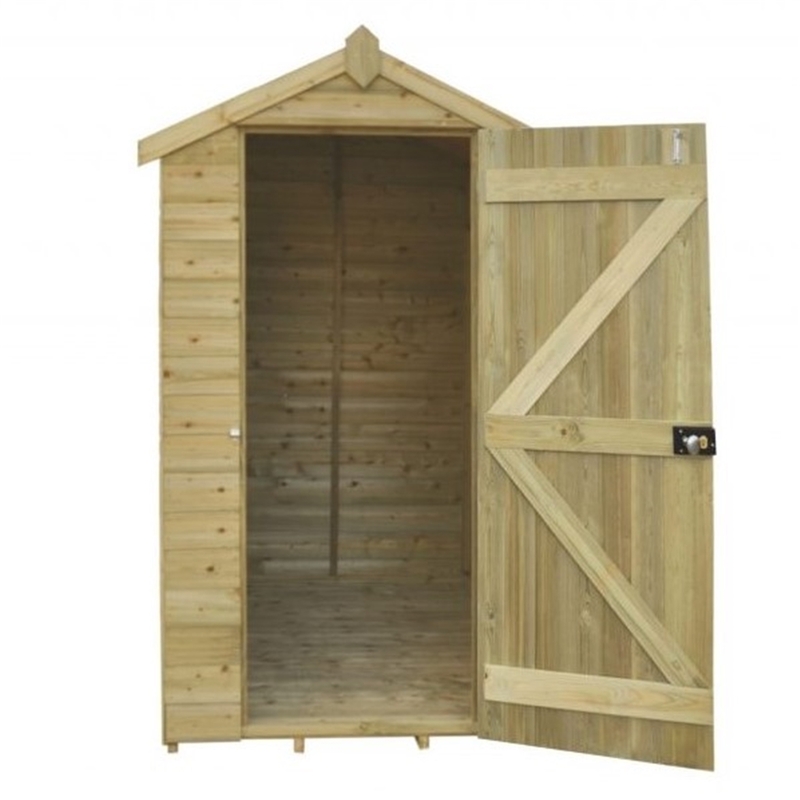 All fixtures, fittings and felt needed to build this 6x4 shed are included, along with easy to follow instructions. Delivered flat packed. Also available with installation included - see additional listing.